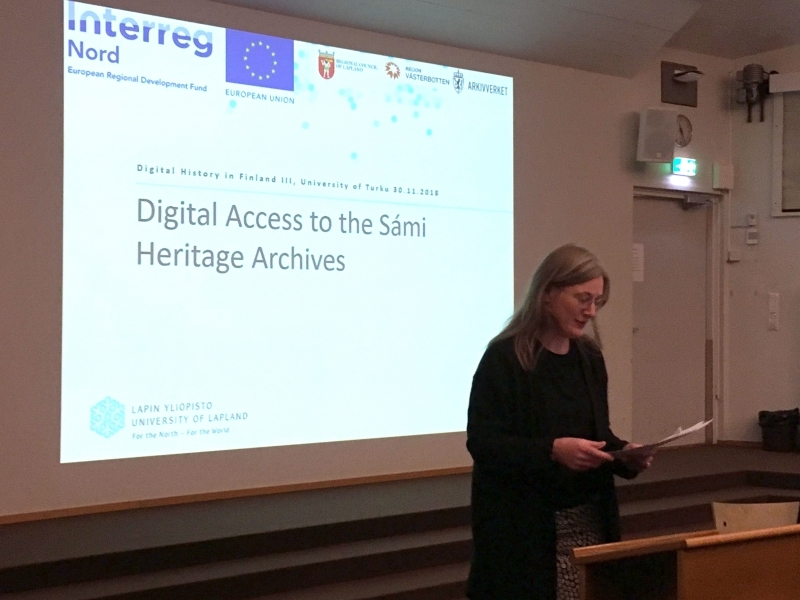 Maija Mäkikalli from the University of Lapland, presented the project Digital Access to the Sámi Heritage Archives at Digital History in Finland III symposium at the University of Turku on the 30 November 2018. The symposium brought together historians who work on different problems in digital history today. It gave a general view on what is happening in the field in Finland at the moment. 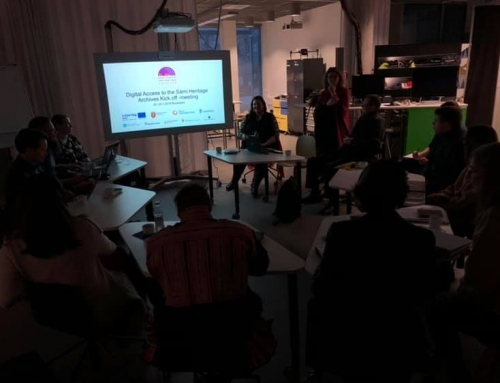 The symposium was organised by the Digital History Work Group of the Finnish Historical Society in cooperation with the Turku Group for Digital history and the project From Roadmap to Roadshow: A collective demonstration & information project to strengthen Finnish digital history.